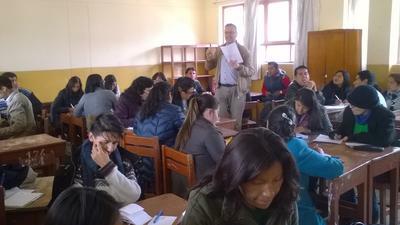 The annual Projects Abroad Teacher Training Project in Peru, organized in conjunction with the Peruvian Ministry of Education, has gone from strength to strength, with the January 2017 intake attracting over 700 enrolments – 300 more than in previous years. 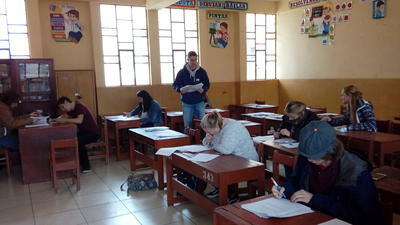 When the Teacher Training project started in January 2005, there were no training centres or colleges in the south of Peru that offered a qualification in education with a major in English. The English ability of local teachers was extremely low and there was a high demand for proper training. When Projects Abroad signed the agreement with the Peruvian government, which allowed their volunteers to teach in the educational centres in Peru, they also recognized an opportunity to help raise the level of English education in the region, and agreed to train local teachers. The Teacher Training project is now held every year during the school holidays in January and February with a focus on improving English and sharing new teaching strategies. Since the session takes place in the school holidays, the teachers are able to start the academic year with their recent training still fresh in their minds. It has made notable improvements in their teaching styles and they are now more confident with the English language. They are no longer hesitant of their skills when teaching, which reflects well on the students as they learn to read, write and speak English. Not only are the teachers able to better understand and teach the English language, they also receive recognition for their efforts. 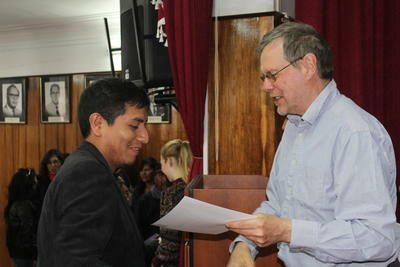 At the end of the training, each teacher is awarded a certificate signed by the Regional Director of Education in Peru and Projects Abroad. This certificate allows teachers to find jobs at educational centres in the area, and is one of the main reasons why enrolment numbers have increased so significantly. Due to limited capacity, only 400 teachers were able to join this year. “The six-week training session is held at a local public school, but due to space limitations we were only able to train the teachers who specialized in English,” said Irazema. Due to this year's interest and success, Projects Abroad Peru is working to expand the training project and open it up to more teachers in the area. This will depend on the number of Projects Abroad Teaching volunteers and the support received from the Peruvian Ministry of Education, who will need to provide access to training venues such as a school that is able to accommodate more participants. Training more local teachers will help raise the level of English education in Peru, and create long-term benefits for the local community. Through the help of the Projects Abroad Teaching volunteers, the training will empower underprivileged students by improving their career prospects and equipping them with the skills needed to become active participants in the global economy. “The beneficiaries of this project are definitely the students at the educational centres. We have seen a huge improvement in their communication skills thanks to the hard work of our Teaching volunteers and the teachers who were willing to learn from them,” says Irazema. 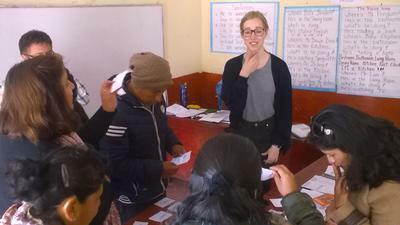 Find out more about our Teaching project in Peru to see how you can contribute, or take a look at how you can make a difference at one of our wide range of Teaching projects around the world.